My quest for healthy- and younger-looking skin continues. I had finished my bottle of Ishigaki L-Glutathione, which I have been taking for a month. While it produced good results I decided to try out other glutathione brands. 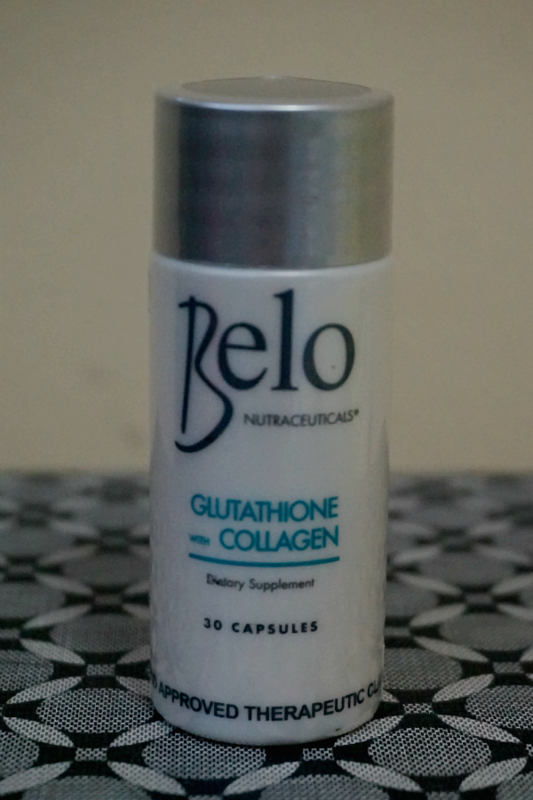 I had my eye on Belo Nutraceuticals Glutathione with Collagen for a while and when I saw that they were on 20% off sale at Watson's, I purchased a 30's bottle. Recommended Use: For adults take one capsule twice daily, with or without meals with one pill taken in the morning as glutathione levels are lowest and oxidative stress is highest. 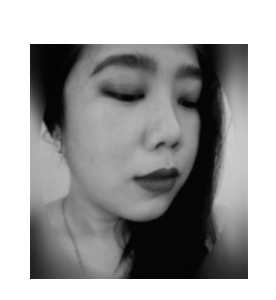 My Experience: After 2 weeks of taking two tablets a day (one in the morning, another at night), my skin had noticeable improvement. During the first week, I had a small cystic pimple appear on my upper lip. 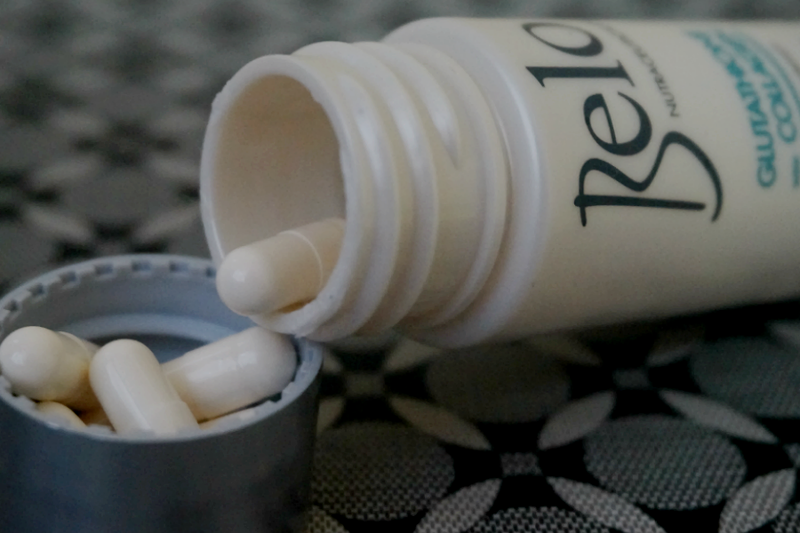 I was wary because I have read reviews that some people developed big cystic pimples after taking Belo Glutathione. I applied Milea's Bee Propolis Cream and thankfully, the pimple healed after a couple of days. Continuing on to my second week, I was seeing improvement on the overall texture and feel of my skin. The pores on my face got noticeably smaller. I was also not as oily as before. The whitening effect is not that significant maybe because I'm already a bit fair. What I liked was that my overall skin tone slowly evened out. Dry and dark patches lightened a bit and with continuous usage, I would imagine that they would disappear completely. As with Ishigaki, I also noticed that little wounds and scratches healed quicker. Skin blemishes and breakouts healed after just 2-3 days. 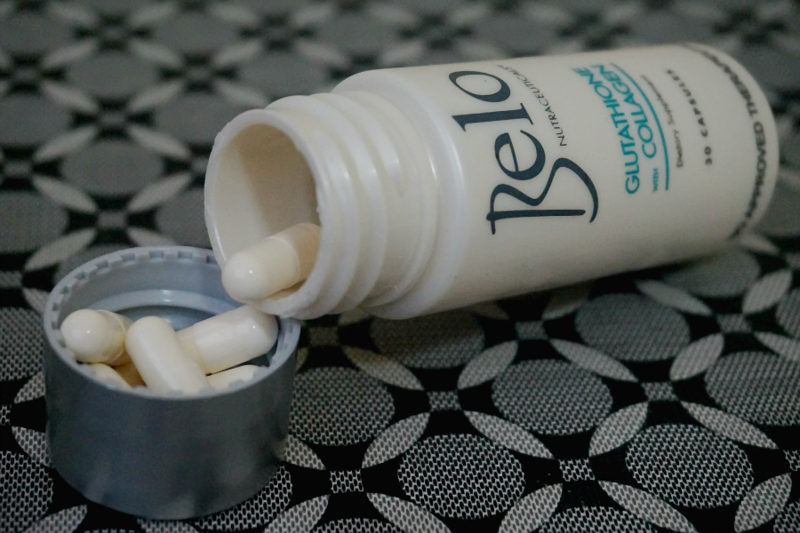 Overall, I am satisfied with the results and benefits I am getting from Belo Nutraceuticals Glutathione with Collagen. I am already starting on another bottle of 30's I purchased with the same 20% discount. I will be sticking to this brand as much as possible. I do find Belo's product line to be generally effective and of good quality, albeit a bit on the pricier side. On the other hand, you do get great results and good value for your money. 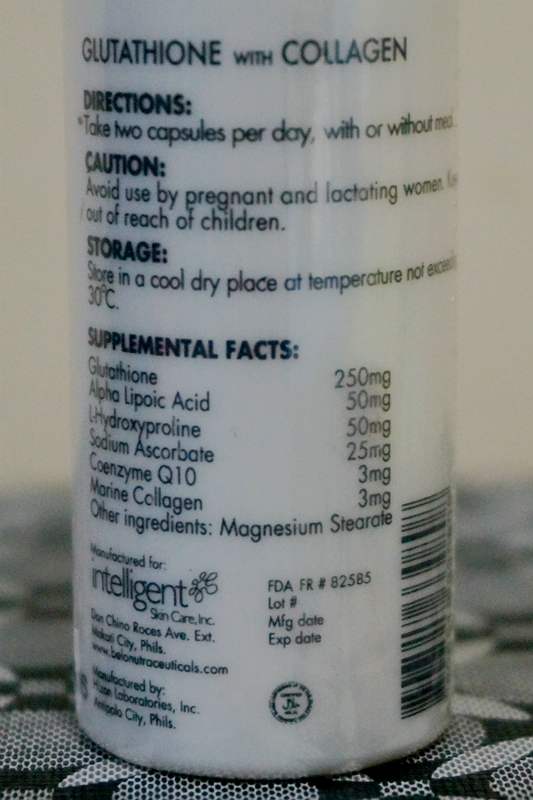 *Retails Php1440/ bottle of 30 capsules purchased from Watsons. I took these tablets for only about 2 weeks as I started getting large cystic pimples and 6 months later my skin went from clear to bad! Anyone know why?